Product prices and availability are accurate as of 2019-04-06 11:37:31 EDT and are subject to change. Any price and availability information displayed on http://www.amazon.com/ at the time of purchase will apply to the purchase of this product. 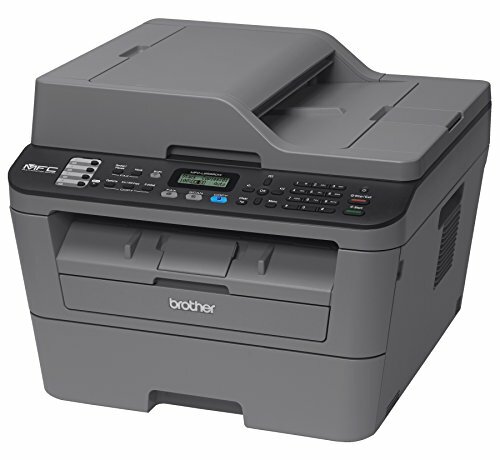 The Brother MFC-L2685DW is a fast, reliable monochrome laser all-in-one designed squarely with the Small Office and Home Office (SOHO) user in mind. Its compact, desk-friendly size is ideal for smaller offices where working space is at a premium, and it prints and copies sharp, professional black and white pages. 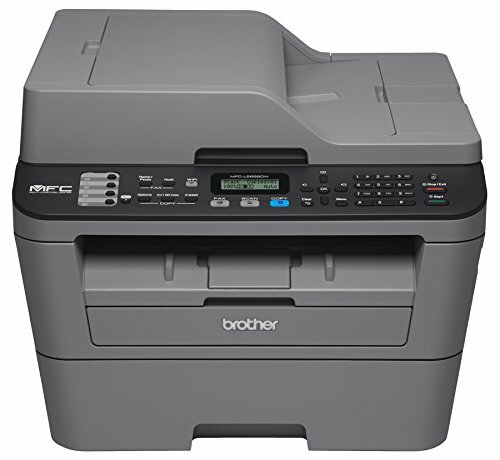 It offers business-friendly scanning and faxing from the scan glass or automatic document feeder, to duplicate, digitize and share documents. 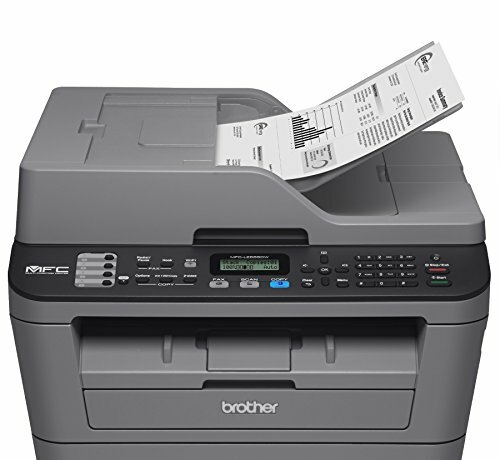 Thanks to its fast print speed of up to 24ppm, it's ideal for printing business documents including multi-page reports, spreadsheets, invoices, and more. Two-line LCD display provides easy navigation and menu selection. Simple wireless setup, so you can print wirelessly & easily share with others on a wireless network. You can also connect to a single computer using a USB cable via the Hi-Speed USB port. 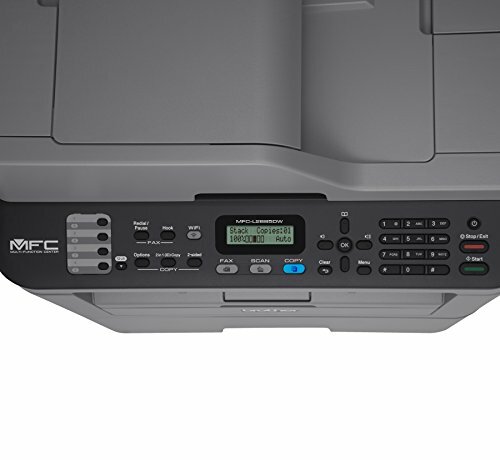 The MFC-L2685DW features a built-in document glass for high-quality copying, faxing, and color scanning. 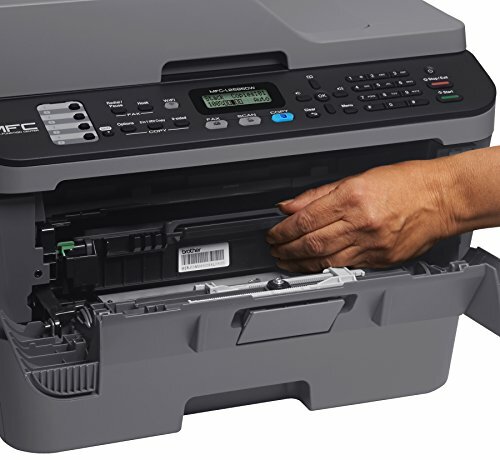 Plus the up to 35-sheet automatic document feeder is ideal for unattended copying, scanning and faxing. The MFC-L2685DW is ideal for small offices and home offices, thanks to its adjustable, 250-sheet capacity paper tray that handles letter or legal size paper. The manual feed slot with a straight through paper path ensures jobs printed on letterhead and envelopes always look their best.